Annual Flower Basket Fundraiser - Order NOW! London Music Boosters annual flower basket fundraiser is being held from now until Monday, April 17, 2017. Checks are to be made out to Red Raider Music. ALL MONEY & ORDER FORMS NEED TO BE TURNED INTO LHS TRACK CONCESSION STAND 4:30-7:30 P.M. 4/17/17. Order forms can be found on the Documents page. -Flowers are to be picked up on Fri. 5/12/17 from 2:45 p.m.-5:00 p.m., outside FFA room, close to LHS stadium entrance. 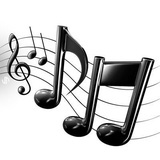 The London bands 5-12 and choirs 6-12 will be performing at the Fine Arts Festival. Band students will need to report to the LHS band room a half an hour before their scheduled performance time. (Beginning Band at 11:30 AM, Concert Band at 12:30 PM, etc.) Concert attire will be black pants, black socks and black dress shoes with tie dye t-shirt for LES/LMS students and red polo for LHS students. *The bands will perform in the LHS auditorium. The choirs and winter percussion will perform in the LHS gym. There will be amazing art work displayed from all 3 buildings throughout LHS and into LES, concessions, face painting, wood-work and a petting zoo!!! Admission is FREE!!! Buckeye Ford will be set up outside for a “Drive One 4UR School” event with proceeds going to the London Music Boosters. Please take a few minutes between performances to do a NO PRESSURE test drive of some awesome Ford products. The band and choir will also be taking orders for the annual Mother’s Day hanging baskets and assorted flowers at the festival. You will be able to shop and place your order in the LHS commons. Delivery will be the week of Mother’s Day. Free Tickets to Pierce the Veil and Sleeping with Sirens Sold Out Concert!!!! London Music Boosters are holding a fundraising event in conjunction with MAP (Madison Advocates for Progress) – a self-advocate group affiliated with the Madison County Board of Developmental Disabilities. We are selling tickets for a Spaghetti Dinner (carry-out only) from West Jefferson’s famous Ann & Tony’s Restaurant. Tickets are $10 each. Dinner includes – Spaghetti with Meat Sauce, Salad, Roll, and Dessert. Dinners can be picked July 22, July 23 and July 24, 2014. All tickets must be sold (and money collected) by July 18. For each ticket you/student sell, a portion gets credited to the student’s account. This is a great way to start gathering funds for various expenses throughout the year. Tickets to sell are distributed in packs of 10 tickets. You can sign out as many as you would like, but please try to sell all that you take. Arrangements will then be made to get tickets to you. Cash or checks accepted. Checks to be made out to ‘London Music Boosters’. April 1st marks the start of a new year for Kroger's Community Rewards program. This is an important source of income for the Boosters that only requires you to enroll and select the Boosters to receive a donation each time you shop with your Kroger Plus Card. If you have been enrolled before, simply go to https://www.kroger.com/communityrewards and Enroll again. Select London Music Boosters (organization #90355) and you are good to go until next April. 3. Select London Music Boosters (organization #90355) to receive a donation each time you shop. Enroll anytime during the year and renew EVERY April. Congratulations to our new London Music Boosters officers effective 4/1/14! Please join our new officers at our next Boosters meeting - 7pm on Monday, April 7th in the LHS Commons. All are welcome. Nominees are currently being accepted for induction consideration into the London City Schools Fine Arts Hall of Fame. The Hall of Fame's primary purpose is to recognize individuals/groups with ties to London City Schools who have made an important, positive impact on the Arts community in our schools, the local community or the global community at large. Music - Dance - Theatre - Painting - Sculpture - Architecture - Radio/TV/Film - Photography - Conceptual Art - Printmaking - and Others! To make a nomination, download the Fine Arts Hall of Fame Process and Nomination Form. Completed nominations can be emailed to [email protected] or mailed/dropped off to the LHS Principal's Office at 336 Elm Street, London, OH 43140. 1. Preside at meetings in the absence of the (Co) President. 2. Gets workers for all concession activities, whether an athletic event, music event, fair, graduation, etc. 3. Cooperates with the (Co) President to maintain leadership of the organization. 4. (Serves as the) Representative of the London Music Boosters with the London Tri-Boosters (music, athletic, and academic boosters). For cellphone/tablet users, you may also be able to add this calendar to display on your mobile device's calendar app. Methods vary whether you are an iPhone or Android user. Open "Settings""Mail, Contacts, and Calendars"
Valentine's Day Fudge Orders Due 01/25! Reminder - orders for the delicious homemade fudge from Fine Designs & Interiors are due to school by Friday, January 25th! Don't miss out on this easy and delicious Valentine's Day treat. Only $8 for a 1/2 pound (due at time of order). Flavors available are: chocolate, chocolate/walnut, peanut butter, maple walnut, chocolate/peanut butter and our favorite - Red Raider Fudge (white chocolate with red M&Ms)! Proceeds to benefit both your student account and London Music Boosters!